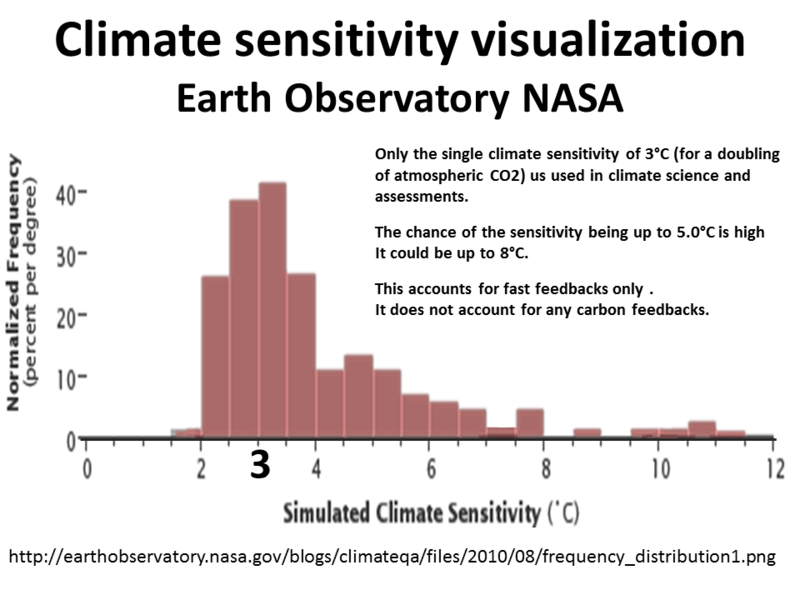 "Climate sensitivity" is the term used for the amount of global warming to be expected if we double the amount of CO2 in the air. For thousands of years CO2 concentration was around 260 ppm to around 280 ppm - since the Industrial Revolution it has risen to over 400 ppm. 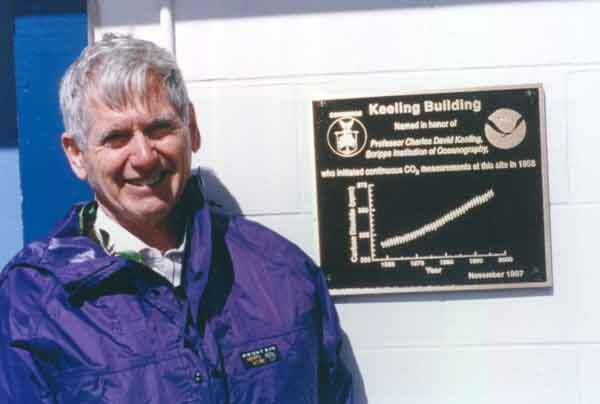 The graph of CO2 concentration as recorded since the 1950s is known as the Keeling Curve, named after Professor Charles David Keeling, who began the regular measurements of this value. If we get to around 560 ppm CO2 (around twice the pre-industrial level) we might well get to more than a 3 C degree rise, as that's a plausible value of climate sensitivity as reported by research from the geological record. "Making sense of palaeoclimate sensitivity" - Rohling et al, 2012. Even the lower value would have serious consequences, and the probability that the value is high is much greater. What can cause climate change? Climate Change - Where does the heat go?